The logic of July 25 parliamentary elections in Pakistan is questionable as being a ceremonial stunt to undermine the reality of a highly corrupted and disoriented political culture. For decades, Pakistan lacks the systematic working capacity to organize fair and honest election campaigns representing the interest of the masses. Foremost, the intent to hold elections on a short span of time. Why was the interim government not formed a year or at least six months ahead of the planned elections? Given the extremely hot climate and the month of Ramadhan in between, it should have been a rational discourse. This should have helped to organize the necessary systematic mechanics of an election body to plan and organize all facets of the complex elections. For the missing political accountability and fearful of the on-going legal actions against Sharif brothers, the whole scenarios of hurriedly arranged interim government tells a lot. The Sharif regime had no interest and priority to hold fair elections or to transfer power to another legitimate political party. They were all sadistic maniacs full of greed and mismanagement to dehumanize the Pakistani masses. Leaders are supposed to enjoin a vision of the future, creative thinking and selflessness, ethical character, a sense of positive thinking and commitment to serve the interests of the people. None of such profiles exist of any politicians in the recent history of Pakistan. Pakistan needs a major change in its constitutional framework, political systems and the role and responsibilities of the political establishments. None of this is available in any rational context. 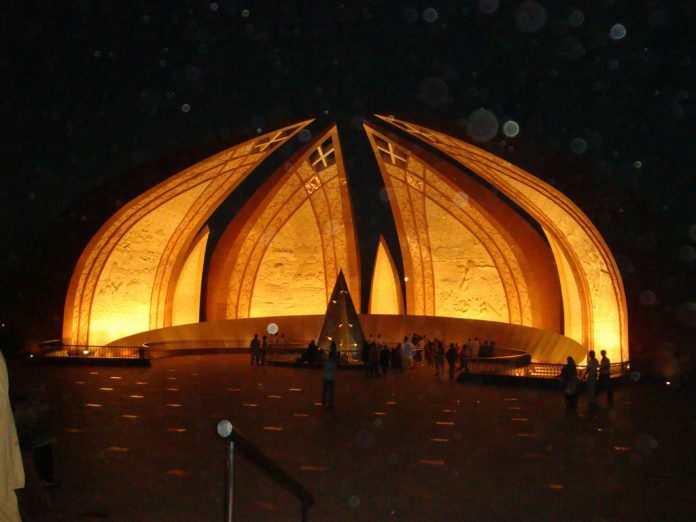 If Pakistan is to spearhead as a sustainable democracy, it needs Major Planned Changes – a New Constitution, a Presidential system of governance (elected directly by the people), new political institutions enriched with young, educated and people of new generation having proactive vision of articulating a sustainable socio-economic and political future for the country. This rebuilding of the Nation cannot be done by just one group or one party already operative under highly charged corruption and dysfunctional political legitimacy. Have you ever read “Pakistan – Enigma of Change”, 1999; “Pakistan: Leaders or Political Monsters”, 2015, and “Pakistan in Search of Political Change”, 2015 by this author? The Pakistani nation has been robbed by its own so-called political leaders – Bhuttos, few Military Generals, Zardari, Sharifs and Musharraf. Truthfully, none were leaders except being military-backed opportunists and thumb lickers who could be used for all purposes in all seasons – legitimate or illegitimate – this is Pakistan’s junk history for the last 50 or more years. How could you imagine regaining that precious time and opportunities for change and development for socio-economic, political, moral and intellectual infrastructures to sustain the present and reconstruct the Nationhood? Could this forthcoming July 25 elections make any remedial work for what is required to be undertaken by hundreds and thousands of thinking people, strategic planners and political experts? Those who imagine miracles out of nothing must be living in a self-engineered fantasy world – a world that does not correspond to the prevalent realities of the 21st century. South Korea sentenced to President Park to 20 years or more on corruption charges. It was done in a visible systematic legal framework. Why could Pakistanis not hold Zardari, Ms. Bhutto, Sharif and Musharaf to the same legal criterion action? Is Pakistan a legally dysfunctional State? See how Brazilian legal system dealt with the past two presidents. Now, see how Malaysia handled Najib Razik’s corruption scandal and being held for a court trial. If the Pakistani political elite and judiciary were honest and effective, should they have not taken tangible measures to exercise the legal accountability in a public court of law against so many political gangsters? Nawaz Sharif has been sentenced to 10 years on corruption charges but he will not serve the sentence because he already fled the country. Why did the higher court allow him to leave the country? Were the Supreme Court judges ignorant of the fact that he could leave the country and avoid all measures of legal accountability? This was nothing new in Pakistani political culture. Rationality and truth have its own language. Everywhere blame game is used by the corrupt politicians to cover up their cruel impulses. The insane egoism does not recognize its own incompetence, criminality and failure. Across the nation, agonizing situations warrant urgent attention to deal with insecurity, conflict prevention and conflict management, Pakistani Taliban’s terrorism, problems in responsible governance, disdain trade and commerce and to revitalize sustainable national unity. The dismissed PM Sharif and his colleagues amassed wealth, stolen time and opportunities for political change and killed peaceful civilian demonstrators. They react like paranoid and maniacs as if masses are the problem. If conscientious Pakistanis living abroad are concerned about the decadent political culture and rebuilding of the moral, intellectual and economic-political infrastructures, the ruling elite will ensure to deprive them the opportunity to be heard at a national level. When people are forced to live in political darkness, they lose a sense of rational direction. They demonstrated a dehumanized gutted culture of naïve politics, be it inside the Higher Courts, National Assembly or the political powerhouses, it makes no sense in the 21st century knowledge-based age of reason and political accountability. People’s tormenting pains, political agony and continuing sufferings cannot be transformed into a single portrait to show to the global audience. All of the political monsters have stolen time and looted the wealth and positive energies of the masses. At a glance, Pakistan appears to be reaching at a dead-ended political discourse. The political misfortunes need a high power jolt of intervention to pave a smooth way out of the stagnated political culture of the few. People are the legitimate force for change if there is any glimpse of democracy still operational in Pakistan. The military dictators, Bhuttos, Zardari and Sharifs could never have come into power unless the whole nation had lost the sense of rationality, purpose and meaning of its existence. These sadistic and cruel monsters have institutionalized chaos and fear, demoralization of a moral society and dehumanization of an intelligent nation and have transferred these naïve traits and values to the psychological-social-economic and political spheres of the mainstream thinking hub of the nation. Pakistani politics is operated by those who have absolutely no qualifications to be at the helm of political power – yet they are continuously engaged in systematic degradation of the educated and intelligent young generations of Pakistanis who are deprived of opportunities to participate in the national politics. 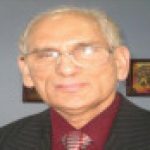 The contemporary history of political degeneration includes few generals, neo-colonial feudal lords, members of the assemblies, family-vested few houses of political power, ministers or prime ministers; they have the distinction of all acting in unison against the interest of the people of Pakistan. Political Power is an aphrodisiac. Do the people belong to this mad scrum overwhelmingly witnessed across the peoples’ movement against the oligarchy? To an impartial observer, the scene is clear that wrong people are conducting the political governance where reason and legal justice are outlawed. This contradicts the essence of the Freedom Movement of Pakistan. It appears logical to think that at some point soon, those who are fit to lead must take over from those who are a misfit to govern with credibility. It could be a bloodless coup – or it could be a bloody insurrection. One way or another, the process of phasing out the obsolete and phasing-in the fair and much desired and deserving must happen. Are Pakistan’s freedom and futuristic integrity being sacrificed for the few dumb and dull criminals who wish to extend their power beyond the domains of reason and honesty? It will be extremely harmful and deeply flawed and dangerous ethos to the interests of the people if Sharif brethren –Bhutto’s family including Zardari remerge in the outcome of the July 25, 2018 elections and are allowed to continue the crime-riddled political governance while their legitimacy is under sharp questioning. The path to peaceful change and political success requires the wise and informed to establish an organized council of responsible oversight to move-in to the void once the despots are ousted. That is an essential component of any public uprising determined to manifest genuine and sustainable political change and legal justice. The political elite and the people live in a conflicting time zone being unable to understand the meaning and essence of the Pakistan Freedom Movement. This purpose needs unwavering public commitment and continuous struggle for political change. It needs not to be invented, it is living in the mind and spirit of the people, it just needs to be revitalized and better organized as the momentum is waiting for the grieving people. Pakistan urgently needs a savior, not Sharif, Bhuttos or the few Generals. The solution must come from the thinking people of the new educated generation – the intelligent Pakistanis to facilitate hope and optimism for a sustainable future of the beleaguered nation. This should be the framework of the message and active agenda for change and reformation as the core of the celebration of Pakistan’s 71st Independence Day.